Dr. North is a professor of economics and history at the Washington University in St. Louis. He is also professor of history and a fellow of the Center in Political Economy. He was on the faculty of the University of Washington and held visiting chairs at Cambridge and Rice Universities. 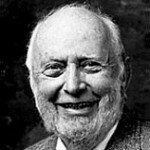 In 1993, Dr. North was awarded the Nobel Memorial Prize in Economics. He is a fellow of the American Academy of Arts and Sciences and has served as president of the Economic History Association and the Western Economic Association. His major interest is the evolution of economic and political institutions. The effects of institutions on the development of economies through time is a major emphasis in his work in both economic history and development. Among his books are The Rise of the Western World (with R. P. Thomas, 2nd edition), 1973, Growth and Welfare in the American Past, 1973, Structure and Change in Economic History, 1981, and Institutions, Institutional Change and Economic Performance, 1990.